Recently one of our smaller additions completed construction in Woodridge. The addition was designed to replace a dated kitchen and provide a little extra space for a growing family. 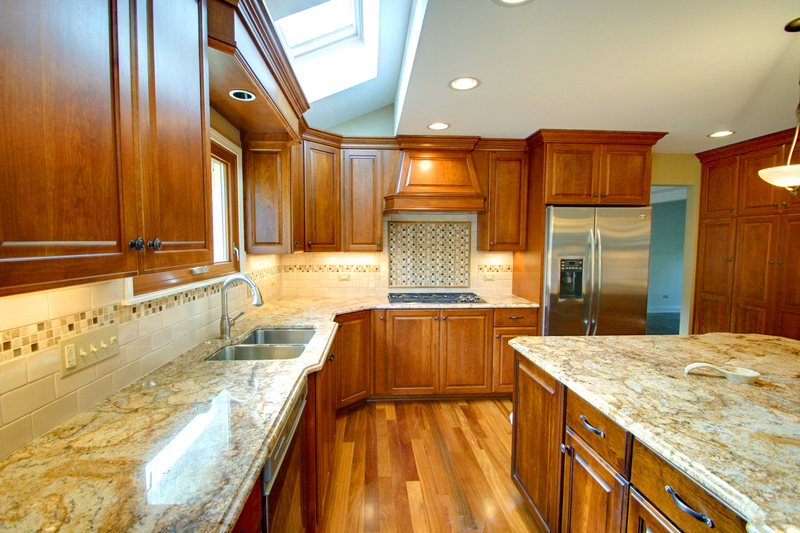 Some of the features include custom cherry cabinets, granite counter tops, double ovens, and site finished Brazilian cherry floors. The addition was only 4′ wide, but involved the removal of about 20′ of load bearing wall. We used a steel C channel to carry the second floor and roof above. This type of structure creates a neat appearance, the beam is completely hidden in the structure. And even though this is a small addition we were able to create a little bit of drama with the sloped ceiling and skylights to let in some natural indirect light. This project is a great example of a smaller project that can have a big impact. In many cases small additions like this or simply reorganizing some of the spaces can dramatically change the quality of life in a positive way.